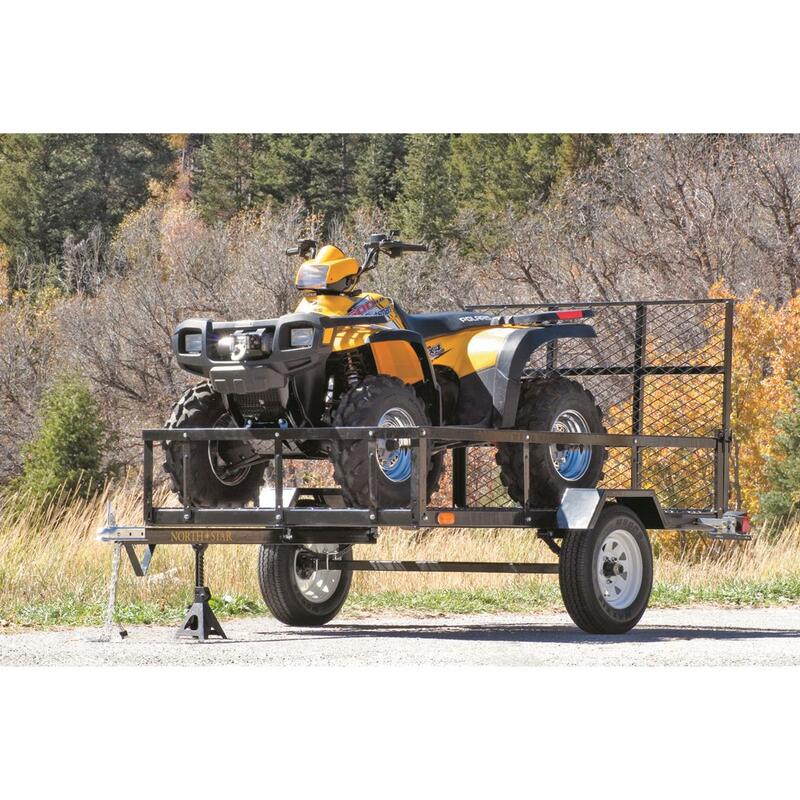 Holds your "big boy" ATV and tons of gear! 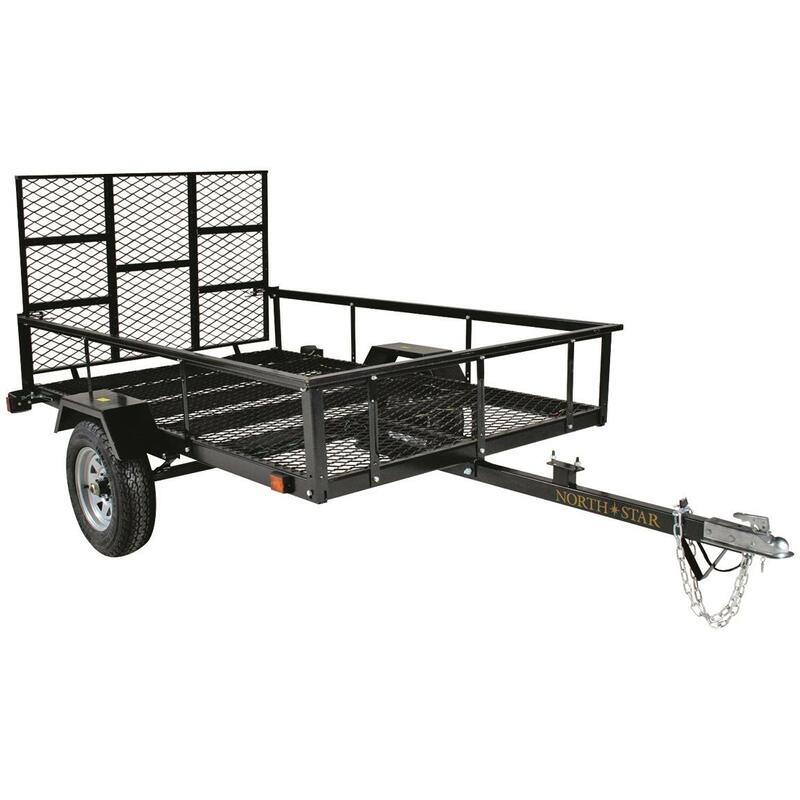 Gate folds down, and measures 40" x 59"
This baby is big on space (8 x 5') and ready to tow your ATV with rugged reliability. 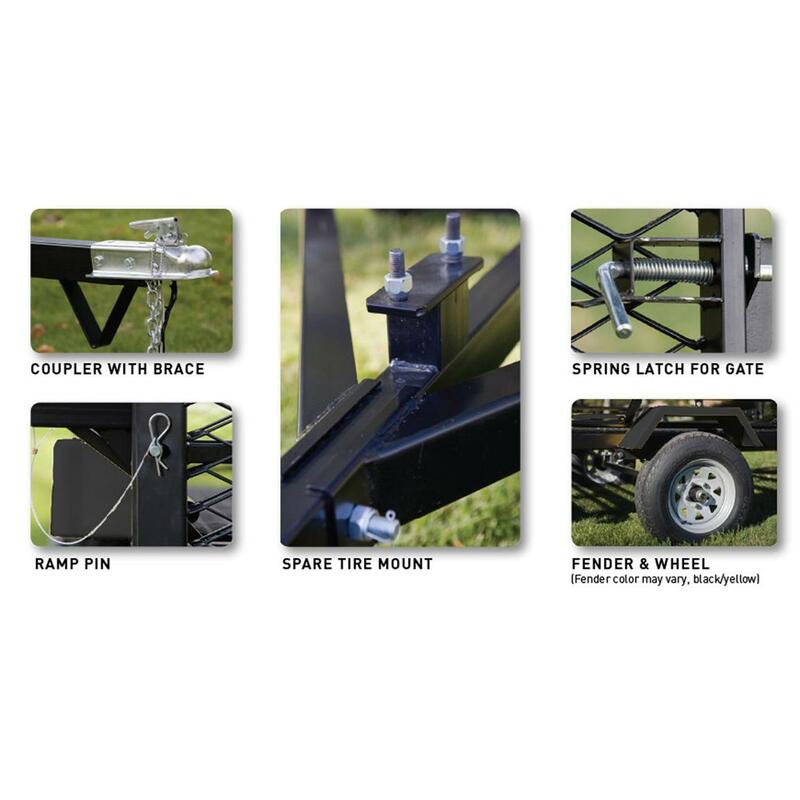 And you'll love how the rear gate corrals sliding items and provides a solid tie-down point for secure storage. The super-durable steel, black powder-coated frame won't rust, and provides a solid foundation you can trust while you roll down the highway. Gate folds down and measures 40" x 59"
Please Note: This item is shipped by commercial carrier curbside. This product Ships in 3 Boxes: Box 1 Measures 100"l. x 66"w. x 6"h., and Weighs approx. 310 lbs. ; Box 2 Measures 23 1/2"l. x 23 1/2"w. x 15 1/2"h., and Weighs approx. 70 lbs. ; Box 3 Measures 29"l. x 11"w. x 9"h., and Weighs approx. 35 lbs. No expedited delivery. High-value orders require a physical street address, otherwise insurance costs will be added to the shipping total. Gross Vehicle Weight Rating: 2,000 lbs. 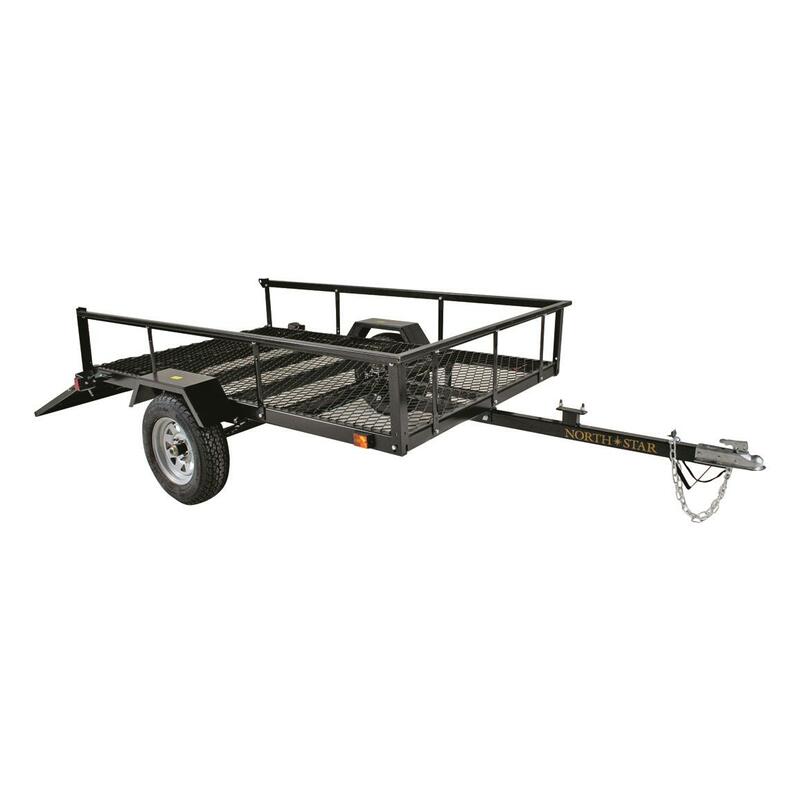 Cargo Area Measures: 8' x 5'w. Gate Measures: 40" x 59"